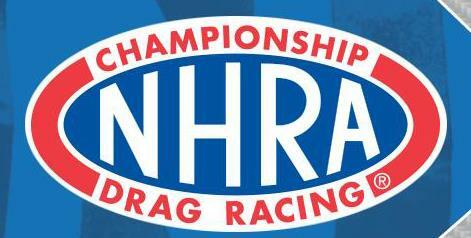 I have several years’ experience in drag racing--with the last few on a more semi-professional level--and it all started in high school, which has been awhile. The US had already successfully landed on the moon and Nixon was president. My first car was a 1954 Hudson Super-Jet (maroon in color with grayish green interior) that had belonged to my grandfather, Salvatore Capitano. Though the car's body was in very good shape, the engine wasn't. The car was later sold to my teacher, who collected Hudson's. I then acquired a red Plymouth Valiant convertible from my cousin. It had a 225 cid slant six with a three speed. Being a Hot Rodder, I could not leave it alone. I ported and milled the head, added a 4bbl 600cfm carburetor, aluminum intake and headers, this car would smoke V8's. 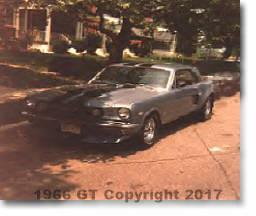 In my senior year, I came across a 66 Mustang GT for sale. The car of my dreams and with a little help of my parents purchased the car for around $1995.00. I added the GT500 hood, the front air dam and the rear flares. Driven daily and raced on weekends at Cecil County Drag-way in North East, MD. The car ran high 13's as shown, not bad for a 3200 lb. car 289/271 HP. After Graduating, I stopped racing and obtained a certificate in IT Computer Operations / Programming. Then in the mid to late 70's, I began to get that drag racing itch...Once a racer always a racer. I proceeded to modify the Mustang to run in the Bracket-II class. By adding fiberglass body parts, gutting the interior to remove weight. I then added a 4 point roll bar to stiffen the frame. Changed the transmission to an automatic enlisted the help of White Marsh Speed Center to rebuilt the engine and I named it 'Follow That Dream'. I raced locally and regionally with success and consistent times of mid 12's. About this time, I meet Betty while working in the IT Department at Montgomery Wards. I continued to race and now had a girl friend who enjoyed it, what more can a man ask for. Well, on October 17, 1986, we tied the knot (my wife will be pleased to see, I remembered the date). We continued to go racing, but realized we needed to replace the Mustang and decided to purchase another car rather than cut up a classic Mustang GT. 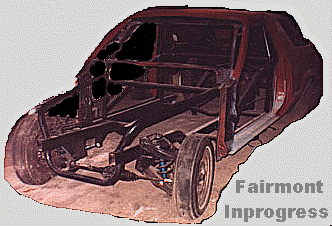 The Fairmont was born, we purchased the car in 1986, original owner Gary Blair Racing started the project but, was not completed. 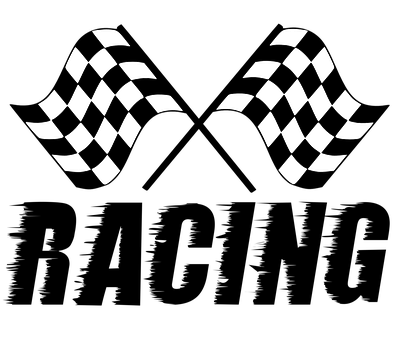 I enlisted the help of Warren Frank of Automotive Racing Cars (ARC). Warren upgraded the rear suspension, by installing a ladder bar suspension with coil over shocks, reinforced the rear end housing. I transplanted the engine from the Mustang to the Fairmont. My wife (Betty) continued to support my racing effort and be an integral part of the race team. The colors and the paint scheme were designed by her and she even came up with the name "Smart Money". It's quite amusing how that came about. When, I first brought the car home, it was just a rolling chassis. Betty took one look and I quote "We paid how much for this car"! I reluctantly reminded her and she came back with "God, I hope that's Smart Money". In 1991, we decided to purchase an enclosed trailer. After careful consideration, we ordered a Haulmark from Tommy Gale. As I recall, it was a rainy day when we drove up to the assembly plant in McAdoo, PA to pick it up. Once home, we began planning how to design the inside. We added electric, a head and installed a grayish tile floor to match the exterior, built cabinets, added a work bench and stained them a walnut color to match the interior walls. In 97' we bought a golf cart to use at the track sure beats a lot of walking. The decision to purchase the trailer, proved to be wise. 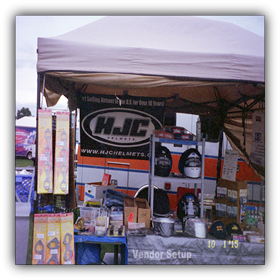 In 1993, I started a company to promote auto n' parts shows and even though it was successful in 1997 was sold. I just missed the racing, doing the shows just kept me away from racing to much and could not do both. In 1997, I decided to start Boteler Racing the vision was to sell racing parts to support my racing efforts and use the race car as advertising. The race car would remain as my personal property and not be part of the business. In 2003 we purchased a 96' ambulance E450 Power-Stroke Diesel to convert to a tow/work truck. Some may say WHAT! Let me elaborate, after research and evaluation and getting sticker shock on new/used pickups. I realized there's got to be something better. One day driving down the road an ambulance went speeding pass me, a light came on (in my head), hey that would be a great vehicle for our use. It's got plenty of storage space and can be converted into a small camper. So the search began and we found one in Richmond, VA.
2011 was interesting we had to restore the interior of the race trailer. A water leak in the roof damaged the interior walls and ceiling. The interior walls and ceiling were stripped and replaced. In doing so, we made it better by; adding installation to the walls and ceiling, replaced the luau plywood on the walls and covered it with white aluminum, and for added décor added a rug along the bottom of walls, then trimmed it off with diamond plate aluminum, rewired the interior lights moving them to the side to provide better head room, placed all the wiring behind the walls and built a new tool cabinet to replace the bulky tool box. It turned out really good! 2012 started selling fiberglass parts for the 1964 Ford Thunderbolt manufactured by Gary Matthews Race Cars. 2015 revised website; added new order form, contact, and a marketing form to better serve our customers. 2016 added (64' Thunderbolt rear bumper, Google event calendar schedule, LED Lighted signs, clocks, locking key boxes, and RJS Racing equipment). Added MPT Industries as a new product line specializing in Oil and additives. Added additional items to our Contingency Program in order to serve our customer's needs.